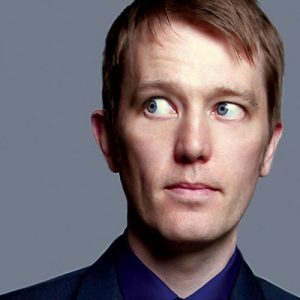 Alun Cochrane is a no-nonsense comedian who specialises in funny nonsense. Much of his comedy begins simply as something he’s seen, heard or felt in his own life, or in the street, or the kitchen, or anywhere and from that it blossoms into a highly amusing anecdote or a strange flight of fancy. Alun has several television appearances to his name, most recently Michael McIntyre’s Comedy Roadshow he’s also often seen on Eight out of ten cats, Mock The Week, and has appeared on Soccer A.M and Live At The Comedy Store.